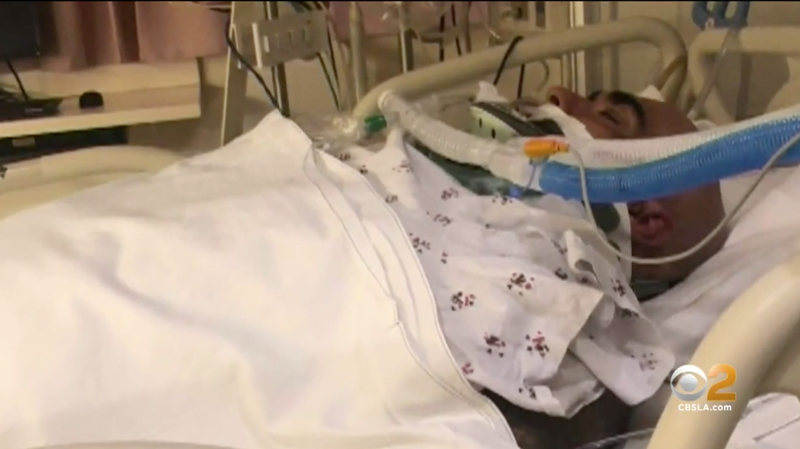 Rafael Reyna, a 47-year-old Dodgers fan, is on life support with a fractured skull and other head injuries after he was attacked in the parking lot of Dodger Stadium sometime after Friday’s game against the Diamondbacks. Cops say Reyna was punched in the head by another man and fell to the concrete. According to Christel Reyna, Rafael’s wife, she was on the phone with her husband as he made his way through the parking lot when a man started cursing at him over an incident with a woman. Shortly after Rafael told his wife he had no idea what that person was talking about, she heard something that sounded like the crack of a bat, which she now knows was his head hitting the ground of the parking lot. Police have not made any arrests as of writing this post. This incident comes just under nine years after Giants fan Bryan Stow was also brutally beaten outside Dodger Stadium and placed in a medically-induced coma to treat his injuries. He survived the attack but ended up suffering severe brain damage. Once that attack made national headlines, the Dodgers supposedly made a commitment to improve stadium security to try and prevent these kinds of things from happening and had to split an $18 million judgment with Louie Sanchez and Marvin Norwood, Stow’s attackers.